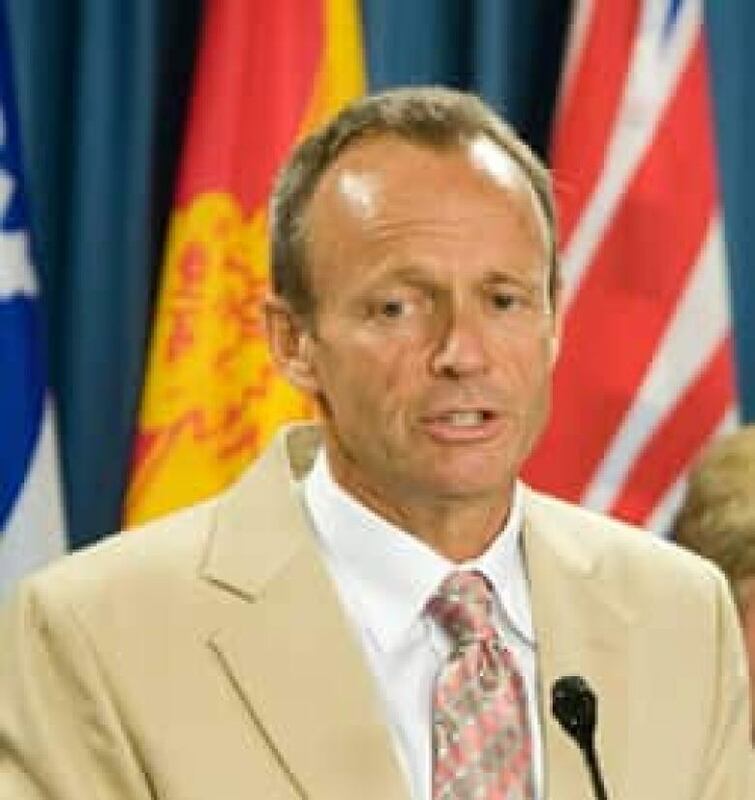 The European Union's new ban on the import of seal products is an unfair trade restriction and Canada will launch a World Trade Organization challenge, Trade Minister Stockwell Day announced Monday. The EU approved the ban at a meeting of foreign ministers Monday without debate. "We are very disappointed with this ruling," Day said in Montreal. "We believe strongly this violates the World Trade Organization guidelines." 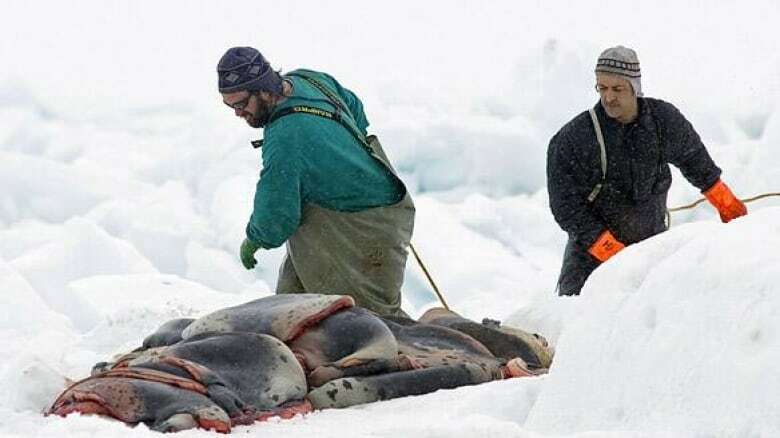 Canada's seal hunt is practised according to procedures established, in part, by an EU study done in 2006, Day said. The seal hunt has been determined by veterinarians to be humane and follows the environmental rules of sustainability, Day said, adding that Canada should be exempt from this particular ban. "It is in our view inappropriate that a trade decision is taken which is not based on science," Day said. Canada will be requesting WTO consultations, which will last 60 days. If an agreement is not reached during the consultation process, Canada will launch an official appeal, which will result in a court ruling on the ban, Day said. Canada's East Coast seal hunt is the largest of its kind in the world, with an average annual kill of about 300,000 harp seals. Canada exported about $2.5 million worth of seal products to EU countries in 2008. The restrictions apply to all products and processed goods derived from seals, including fur, meat, oil blubber and even omega-3 pills made from seal oil. But the ban exempts products from traditional hunts carried out by Inuit in Canada, Greenland, Alaska and Russia. The import ban in all 27 EU member countries is expected to take effect in October. The European rules still let Canada ship seal products through Europe but it bars the promotion of the products. Mary Simon, president of the national Inuit organization Inuit Tapiriit Kanatami, called the seal ban an "abomination," despite the exemption for traditional hunts. "It directly attacks cultures, communities and livelihoods that represent a basic means of living for many here in Canada, using groundless accusations influenced by animal rights propaganda campaigns," Simon said. The prohibition of the marketing of products from a sustainable and humane hunt is a violation of EU trade commitments, said Fisheries Minister Gail Shea. The sealing industry is crucial to many small coastal communities and northern aboriginal people in Canada, Shea said. "The European Union has taken shortsighted and irresponsible actions which will affect many Canadian livelihoods," she said. Though many communities have been expecting the ban, it is still going to have a devastating impact on their way of lives, NDP fisheries critic Peter Stoffersaid. "Why should their livelihood be destroyed because of falsehoods perpetrated by animal rights groups?" Stoffer said. Îles de la Madeleine Mayor Joel Arseneau said the EU's decision is disappointing. "I don't think politicians in Europe made a decision based on facts but on emotions," Arseneau said. "There are other practices done all over the world, particularly in Europe, that are basically very, very similar ... [but] the images are not available. You don't go into slaughterhouses and film, and get that all on TV screens and in the media." EU spokeswoman Barbara Helfferich said the ban has roots in huge public pressure in Europe. "The legislation was proposed because we had received tens of thousands of letters from concerned European citizens about the way the seals were killed," Helfferich said. "We have always argued that the killing methods must be humane." Shea said the EU seems to have "caved" to the pressure of interest groups whose motives she questioned, adding they are feeding misinformation to their supporters. The groups are "still portraying the picture of the small white-coat baby seal on their website, which, of course, Canada has not hunted for more than two decades," she said. She added that the issue has become a "cash cow" for the groups. Rebecca Aldworth, director of Humane Society International Canada, said the attempt to question the motives of the groups is absurd. "We as an organization ... have campaigned for five decades to bring about an end to the commercial seal hunt. We are in the business of putting ourselves out of business on this issue." Meanwhile, the International Fund for Animal Welfare applauded the EU ban as a "significant victory." The organization has led a 40-year campaign to try to end Canada's commercial seal hunt. "There is a wonderful sense of accomplishment today after years of hard work," said EU director Lesley O'Donnell. Canada's fur industry expressed disappointment over the federal government's approach to lobbying EU politicians.